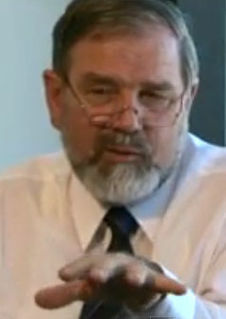 Bob Carter (Robert M. Carter), born 1942 (age 76–77), is a retired Australian marine geologist and a paid AGW denier. He is also an adjunct (unpaid) Research Fellow at the Marine Geophysical Laboratory at James Cook University" in Australia, and on the academic advisory council of the denialist front group, the Global Warming Policy Foundation. Carter is on the payroll of the Heartland Institute, which itself is funded by polluting industries (Exxon, Scaife Foundations and Koch Family Foundations, etc). According to the Sydney Morning Herald in 2007, Carter was "on the research committee at the Institute of Public Affairs, a think tank that has received funding from oil and tobacco companies, and whose directors sit on the boards of companies in the fossil fuel sector" and believed, SMH said, that "the role of peer review in scientific literature was overstressed." Carter is Chief Science Advisor to the International Climate Science Coalition, funded in part by the Heartland Institute, which is funded by the industries involved in producing greenhouse gases. Carter is also an advisor on a number of other right wing and denialist "think-tanks" and groups the Institute for Public Affairs (Aus), The Galileo Movement (Aus), the Science and Public Policy Institute (US), the International Climate Science Coalition (US/Canada), the Australian Climate Science Coalition, the Global Warming Policy Foundation (UK) and Repeal the Act (UK). He was a founding advisor to the New Zealand Climate Science Coalition. Carter is a founding member of the Australian Environment Foundation, a front group set up by the Institute of Public Affairs. Carter's own website (see image below) claimed, as recently as 2012, that he received no funding from "special interest organisations", but this was shown to be untrue with the release of private Heartland Institute documents in February 2012, which showed Carter was funded by this one front group alone to the tune of approximately $20,000 annually. Carter brushed off the revelation with the statement that being truthful about one's funding is "a very quaint and old fashioned practice". Carter was a speaker at the International Conference on Climate Change (2009), organized by the Heartland Institute Carter is also listed as a speaker for the Heartland Institute's June 2009 Third International Conference on Climate Change. In all, Carter has been a speaker at six of Heartland's climate change conferences. "Carter goes to some length to claim that the surface temperature record (according to institutions like NASA GISS) is unreliable. In fact he implies that it’s downright useless. Yet he also states that the satellite record is reliable...[But] if the satellite record is so reliable but the surface record is so useless, why do they agree so closely?" Carter is a geologist who writes in the field of geology.. Some of Carter's work has involved what is known as "paleoclimatic research," including participation in the Ocean Drilling Program Leg 181 try to create a benchmark of the 4 million year-long, mid-latitude climate record.. Funding for this program reportedly "came to its planned and natural end" around 2002. Journalist Robyn Williams wrote that with the end of the drilling program "...many of us began to receive helpful items from Carter, clearly meant for publication, most knocking the orthodoxy, the bleak line on global warming. The first, a scripted talk, I duly put to air. Then a similar piece turned up in The Australian newspaper; then he was on Counterpoint, ABC Radio National, twice, all with the same position. This was becoming not so much the availability of a helpful boffin, more pressing a line.... I...discovered that Professor Bob Carter, geologist from Townsville, was a vocal member of the Institute for Public Affairs (IPA)." ↑ Readfearn, Graham (2012 [last update]). Australia's place in the global web of climate denial - The Drum Opinion (Australian Broadcasting Corporation). abc.net.au. Retrieved on 19 February 2012. ↑ "1 minute 10 "
Tim Lambert, et al, "Bob Carter", Deltoid. (This is an archive of posts excoriating Carter's communications). Bob Carter, A Rundown of the Skeptics & Deniers Logical Science. Bob Carter, "Cool rationality shatters greenhouse hype", On Line Opinion, August 4, 2005. (Originally published in the Australian Financial Review July 14, 2005). Bob Carter, "Climate Change is Not About the Weather", Perspective, ABC Radio National, August 6, 2004. Bob Carter, "Global Warming Hysteria and the Deadly Disease of Hansenism", Melbourne Rotary Club address, June 15, 2005. Bob Carter, "All the signs of full-blown Mother Earthism", Sydney Morning Herald, September 29 2005. Bob Carter, "There IS a problem with global warming - it stopped in 1998", Sunday Telegraph (UK), April 9 2006. Bob Carter, "An inconvenient truth: climate change is indeed a moral issue", On Line Opinion, Sept. 20, 2006. Bob Carter, "British report the last hurrah of warmaholics: The Stern warning could join Paul Ehrlich's The Population Bomb and the Club of Rome's Limits to Growth in the pantheon of big banana scares that proved to be unfounded", The Australian, November 3, 2006. Bob Carter, "Flacks for alarmists", The Courier-Mail, September 6, 2007. Bob Carter, "Facts debunk global warming alarmism", The Australian, January 20, 2009. 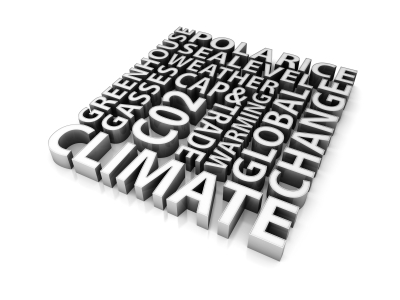 Michael Duffy, "Climate Change Response: Bob Carter, Research Professor of Geology, James Cook University, Townsville, answers your queries arising from our Climate Change show of Monday 4 April. ", Counterpoint, ABC Radio National, April 11, 2005. Robyn Williams, "Bob Carter", Science Show, ABC Radio National, September 1, 2005. Panel Discussion chaired by Professor Anders Flodstrom, "Global Warming - Scientific Controversies in Climate Variability:" (click on Part 1 or Part 2), KTH University, Stockholm, September 11-12, 2006. Anna Saleh, "Glacial mud reveals earth's history", ABC News in Science (Australia), June 11, 2004. Deborah Smith, "Climate of opinion", Sydney Morning Herald (Australia), June 12, 2004. Ian Frazer, "Cool response to a hot topic", Townsville Bulletin, July 7, 2004. John Quiggin, Duffy And Carter on Counterpoint, April 18, 2005. "Ice cores show warming 'natural'", The Australian, January 7, 2006. Robyn Williams, "Fair weather friend? ", New Matilda, May 24, 2006. Wendy Frew , "Minchin denies climate change man-made", Sydney Morning Herald, March 15, 2007. This page was last edited on 10 July 2014, at 02:07.